The beauty of the tiny island of St. John is undeniable. Many St. John visitors and local folks alike find a quiet walk along an empty beach, or watching the sun rising or setting over the sea, to be spiritual experiences. In the United States Virgin Islands, St John’s churches are some of the oldest places of worship established. The Moravians were the first Protestants to send missionaries to the West Indies in as early as 1732. The Emmaus Moravian Church in Coral Bay celebrated its 200 year anniversary in 1982. From the building of the original structure, the clergy house, in 1752, the church has been the center of activity in the village of Coral Bay and refuge in many storms. Located just East of the church is the cemetery dating to the 18th century. Visitors are welcome to attend services at 9:00 a.m. on Sundays. Frederick Lutheran Church in downtown Charlotte Amalie on St. Thomas is the second oldest Lutheran St John’s Church in the western hemisphere. On St. John, the Lutheran congregation dates back to 1720 (the date over the door on the current church in Cruz Bay) but remained homeless after a hurricane destroyed the church near Susannaberg in 1867. Several decades later, in 1958 the present Nazareth Lutheran Church in Cruz Bay was built. The doors to the Nazareth Lutheran Church in Cruz Bay are always open from early morning to sunset. That’s because the pastor of the church for the past 30 years, the Rev. Carlyle O. Sampson, believes in making himself available to anyone who seeks counsel. Visitors are welcome to attend regular services each Sunday at 9:00 a.m.
CimmaronStJohn has premier vacation rental properties throughout the island of St. John, some in close proximity to these historical places of worship. In Coral Bay, Villa Jumbie is on the hillside overlooking Emmaus Moravian Church. 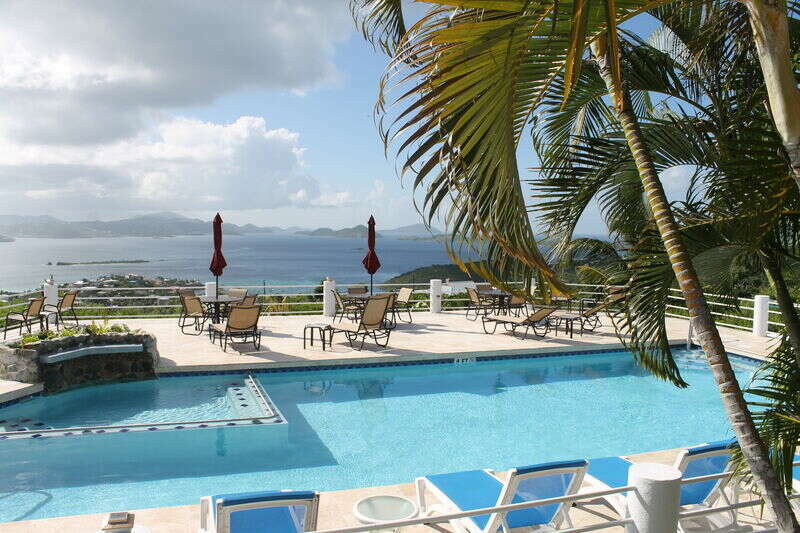 In Cruz Bay, several condos are within walking distance to Nazareth Lutheran Church in Cruz Bay, including: Panacea, Rainbow’s End, The Cottage, Blue Coral, and Bliss at Cruz Views.